The curious reader is bound to wonder why the anesthesiologist would leave the operating room in the first place. Of course, reporter Dianna Wray explains that in many hospitals, one physician anesthesiologist often supervises multiple cases staffed by nurse anesthetists. This model of care is called the “anesthesia care team“, and has a very long record of safe practice in nearly all major hospitals in the United States. Typically, the anesthesiologist makes rounds from one operating room to the next, checking on each case frequently, just as an internal medicine physician would round on patients in the hospital who are being monitored by their nurses. Ms. Wray’s article narrates in detail what happened in several anesthesia cases where things went horribly wrong. She points out that the patients and families were not aware that the anesthesiologist would not be present during the entire case. Complications can develop with patients on the ward, in the intensive care unit, or in the OR. In any medical setting, the nurse’s job is to recognize the problem in time to call for help, so that the physician can respond and the patient can be treated successfully. 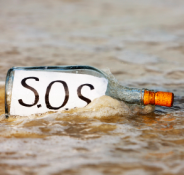 Sometimes, the call for help may not come in time for successful resuscitation. The results can be tragic — cardiac arrest, brain damage, even death. Hospitals track “Failure to Rescue” events that cause adverse patient outcomes as a Joint Commission and CMS standard for measuring quality in nursing care. The fact is — anesthesia is dangerous. We have made huge strides in developing safer drugs and better monitoring techniques. But going under anesthesia — losing consciousness from the drugs we give — is really the same thing as inducing coma. Most anesthesia drugs have the potential to depress breathing, lower blood pressure, and decrease the function of the heart. Even regional anesthesia, using proven techniques such as spinal and epidural blocks, can cause major complications. I can verify that even the most routine procedure — under sedation, regional block, or general anesthesia — has the potential to evolve into a crisis. Some days are completely routine, and some days I find I need every scrap of medical knowledge and experience I can bring to the problems my patients face. No one should read Ms. Wray’s article and conclude that a physician anesthesiologist needs to be in the OR with every patient 100% of the time. Nurse anesthetists are highly qualified members of the anesthesia care team. However, patients and families have a right to be informed about the plan of care. Will a physician anesthesiologist be present for the entire case, or supervising more than one case? Will a physician anesthesiologist be involved at all? Many people would be surprised to learn that in a number of states, including California, there is no requirement for nurse anesthetists to be supervised by physicians, or even to consult with a physician about patient care. Ms. Wray’s article explains that many nurse anesthetists feel that they should be able to practice in complete independence, without a physician anesthesiologist even on site. This is part of a concerted effort nationwide to grant independent practice to all advanced practice registered nurses (APRNs) — nurse practitioners, midwives, and anesthetists — in the name of cost-cutting. Proposed changes to the VA Nursing Handbook would mandate that APRNs must practice in VA hospitals without physician supervision of any kind, whether or not the mandate conflicts with state law, and whether or not the nurse would prefer to have physician backup. Given how desperately ill and injured many of our veterans are, this seems like poor policy indeed. The cases that Ms. Wray outlines in her article are tragic, and they prove how quickly a situation can deteriorate in the operating room. They highlight the folly of attempting to cut costs in our healthcare system by reducing the presence and availability of physicians. Once a patient has encountered a life-threatening complication, even the best attempts at resuscitation may fail. That’s why the key to success is having a high-functioning healthcare team that can avoid the complication in the first place. To clarify one point in Ms. Wray’s article — certified anesthesiologist assistants, or CAAs, are qualified anesthesia practitioners on a par with nurse anesthetists. In the states where CAAs are licensed, they perform exactly the same functions in the operating room that nurse anesthetists do. The only major difference is that CAAs prefer to work under anesthesiologist supervision. Both CAAs and nurse anesthetists are certified healthcare practitioners who take direct care of patients, as distinct from anesthesia technicians who assist with anesthesia equipment and technical procedures. I’ve written before about what a shame it is that animosity ever exists among healthcare professionals in any field, especially my own. Medicine is, or should be, a team sport. I rely on an entire surgical team of physicians, nurses, and technicians taking care of my patients every day. I’ll always value the wisdom, skill, and friendship of the many experienced nurse anesthetists I worked with at Duke University Medical Center when I was a young physician fresh out of residency. My husband, a cardiac anesthesiologist, often gives his residents a favorite piece of advice: “In anesthesia, it’s not necessarily what you know, it’s what you can think of in time.” Sometimes what you need to think of is to call for help. I’ve certainly done that on any number of occasions, when I needed someone with a different set of specialized anesthesia skills from my own, when I wanted to run an unusual problem by an experienced colleague, or when I just needed an extra pair of hands. That’s the real advantage of the anesthesia care team. Help is around when you need it. You just need to think of it in time. Good points. Stunned with the news on CA and VA. When I worked for a malpractice co., one VP said: Anyone can put you to sleep; not everyone can wake you up. I have been a practicing CRNA for 23 years and just like CAA’s , I “prefer” just like all my colleagues to work under anesthesiologists supervision. I have always had a low threshold to call for help, even though with my experience i can handle certain events ,i feel better safe than sorry and two hands are better than one. It sounds like in this particular case of this patient undergoing an EGD , the nurse anesthetist did not call for help when she should have . I feel that this is an exception. In the facility that i work at , we often have to sedate morbidly obese patients for EGD as part of the pre op for gastric bypass. If they are over 400 Lb they are to be done in the OR so that more anesthesia providers are more immediately available. I have asked the anesthesiologist to stay with me during an EGD if i think the patient may have a difficult airway. For Ms. Wray to say that this would not have happened if a board certified anesthesiologist was present the entire time is unfair. There was a board anesthesiologist with Joan Rivers. I think you have to look at the individual practitioner . Plus once she started citing other anesthesia disasters , i am not sure what she is trying to prove . She started sounding like a loose cannon. There is good and bad in every profession . What happened in that endoscopy suite that day is every anesthesia providers worse nightmare. I hope to god I never have a complication like that. Well written as usual, Dr. Sibert. As a CRNA I disagree with some of your thoughtful commentary, but I would agree that knowing when to call for help is one of the most useful skills anyone can learn. Pride is more dangerous and pervasive in anesthesia than malignant hyperthermia, flash pulmonary edema, and other acute and trendy problems we encounter. For students, I liken it to the basketball game Around the World: it’s not the best shooter who wins, but the player most conscious of the limits to their skills. Rather than address CAA issues, I’d like to simply point out that CRNA’s are different than nurse practitioners because, like midwives, we practiced independently until what we did became lucrative enough for physicians to attempt to gain control of it. Preventing the erosion of our independence is more important to me than forging new ground. As you’ve mentioned previously, friction between different anesthesia providers needs to stop clinically. When I need help, I care much more about the skill provided by an extra set of hands than the title on a hospital name badge. Sorry Nick, many years of clinical experience has taught me that CRNAs are not prepared to handle many of the sickest, most obese patients during some of the surgeries we do these days. Back before anesthesiologists came on the scene, the threshold to go to the OR was different. It’s simply insulting to say that the only reason anesthesiologists came along was because anesthesia became lucrative. There is a need for the advanced training the doctors bring to the table, and to deny that is simply ridiculous. I’d like to see CRNAs, en masse, provide start to finish anesthesia successfully for transplants, mediastinal masses, and TAVR/cardiac cases. Come on man. I’m not going to sit here and deny that CRNAs have a place at the table when providing anesthesia. They do. As do AAs, which the CRNA lobby has continually bad mouthed. I’ve worked with both, and both are equally clinically competent. But to say the only reason anesthesiologists exist is to take money from CRNAs and skim off the top is ignorant. I can’t tell you how many hundreds of CRNAs and AAs I’ve bailed out over the years that were legitimately in over their heads, and I’ve worked in a variety of settings with a variety of experience levels. I count exactly ONE doctor I’ve had to bail out, and he is no longer practicing (providing an extra set of hands and bailing out are 2 different things by the way). ASA 3s and 4s are a much different ball game than 1s and 2s my friend. Dr. Silbert: Good post. But I disagree with some of the points made. 1) CAAs are not on par with CRNAs. With experience, a CAA, CRNA and anesthesiologists will all be on equal footing as stated by several anesthesiologists. But to state it as one surgeon placed its that someone with ZERO prior medical training/education can learn and understand all the complexities of physiology, pharmacology, and anesthesia in only 2years of training and are on the same footing as CRNAs is dishonest and hard to believe. In areas where CAAs work, they perform the same function as a CRNA and anesthesiologist when performing an anesthetic for a patient. Can you name 1 case or surgical procedure that is performed by anesthesiologists that CRNAs cannot perform without supervision? Where I did my training, all the cases the anesthesia residents performed, we (CRNA-students) also performed the exact same cases. 2) The VA: The VA is simply changing its laws in the APRN manual to express the realities that are already evident in the VA. CRNAs are the primary anesthesia providers when it comes to combat anesthesia and this has been the reality for decades. Hence the VA simply wants the laws on the books to be in line with the practices that are already taking place. In the VA, providers are trained to function autonomous due to combat related issues. A CRNA in combat zones doesn’t wait for an anesthesiologist give the go ahead prior to performing an anesthetic, the CRNAs have always practiced autonomously. 3) Based on the Houston article, there can only be one outcome: Anesthesiologist only groups. Are you for anesthesiologists only groups? You stated that, ”No one should read Ms. Wray’s article and conclude that a physician anesthesiologist needs to be in the OR with every patient 100% of the time. Nurse anesthetists are highly qualified members of the anesthesia care team.” How could anyone not read that discussing article and not come away with that conclusion? The solution of 1anesthesiologist:4CRNAs, that the ASA stands behind is actually counter to what the individuals in the article desire. Why would an anesthesiologist not be in the room at all times if they were supervising (based on the logic of the ASA—1:1)? If a surgeon is supervising a case, does he leave and then come back every so often to check on the residents doing the case? They are there for the majority of the case (only leaving during suturing-and that’s after most of the suturing has been done by them) This idea of supervision doesn’t make sense to me. So an MD bounces from 4rooms in which critical patients are under anesthesia and CRNAs are there just manning the fort until something goes wrong and then they call an anesthesiologists. What if 2 of the 4 patients codes? Either CRNAs can practice anesthesia autonomously or they should practice with anesthesiologists in a 1:1 ratio. 1:4 ratio is impractical and only works if CRNAs are qualified providers able to perform cases without the aid of an anesthesiologists. And lastly, as an anesthesiologist from Europe stated on a forum, it appears that American anesthesiologists don’t actually desire performing anesthesia because they are now fighting to replace CRNAs with CAAs (who will with time also desire to practice autonomously-There’s already talks of this). If anesthesiologists were serious about anesthesia and etc, they should push for anesthesiologist only practice and not the ACTs care model. Replacing CRNAs with CAAs (less qualified) only goes to show that anesthesiologists (Those pushing for ACTs and not MD-only), do not desire to perform anesthesia. Dr. Sibert has a marvelous talent for translating “Medicaleeze” into “Everydaypeopleeze”. Again herein proven. I hope she is planning to collect her writings into a book for “The Public”. For the record: The status of CRNAs in the U. S. Armed Forces was accomplished by a series of command decisions by non-medical line officers. It was based on apparent cost, shortage of anesthesia physicians, and an inherent conflict between line officers and physicians of any specialty. There was never any consideration of the wisdom or a follow-up of the results of this arbitrary maneuver.